The Exchange at 100 Federal Street has received the Award of Merit Office/Retail Mixed-Use Developments from Engineering Record News! We’re proud to have been on the project team along with Perkins + Will and Turner Construction Company. Learn more about the project’s multiple challenges and how daily team coordination kept the project on schedule and budget. Ipswich Bay Glass is honored to be featured in the November 2018 issue of High-Profile magazine. Two projects by Payette, Turner Construction Company and IBG recently received prestigious industry awards. The Rajen Kilachand Center for Integrated Life Sciences and Engineering at Boston University project received the 2018 TurnKey Facility of the Year Award and the Tufts University Science and Engineering Complex project received the I2SL 2018 Go Beyond Award in the Buildings Category. Read more about the Rajen Kilachand Center award. Read more about Tufts University Science and Engineering Complex award. Another IBG project is in the news! The lobby renovation at 99 Summer Street in the heart of Boston’s Financial District is complete. Read about the transformation in High-Profile magazine. The first condominium tower at EchelonSeaport has topped off! Read all about this IBG project in High Profile magazine. Construction has started on Phase 1 of Fenway Center! IBG will be providing 75,000 sq. ft. of punched and multistory curtainwalls, 125,000 sq. ft. of rainscreen panels, aluminum entrances, and all glass rails and canopies for the two residential towers. We’re excited to be working with our partner, View Dynamic Glass, on this project. Once complete, it’ll be the first large-scale residential building in the northeast to use their new generation of smart windows. The Boston Celtics’ new practice facility, The Auerbach Center, recently opened and IBG’s 40-foot glass wall is scoring big. The wall gives Mass Pike commuters a great view inside the facility and the 17 championship banners hanging from the rafters. It’s being called “one of the coolest features.” Check out video and photos of this stunning facility by Elkus Manfredi Architects and John Moriarty & Associates. 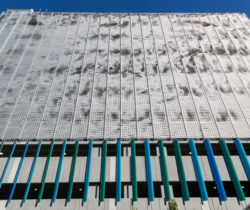 IBG is thrilled to be part of the team with Elkus Manfredi Architects, John Moriarty & Associates and The Davis Companies on Alkermes facility in the Reservoir Woods campus in Waltham, MA. Read more about the development in the New England Estate Journal. IBG is excited to be a premier sponsor of the Audubon Nature Festival on Sunday, June 3 at the Ipswich River Wildlife Sanctuary. Join us and learn more about our natural environment. The highlight will be Marcia and Mark Wilson of Eyes on Owls who will have live owl performances throughout the day. The Boston Business Journal recently announced their list of the largest general contractors in Massachusetts. IBG is honored to work with 9 of the top 10. They are: Suffolk, Consigli Construction, Turner Construction, Shawmut Design and Construction, BOND Bros., AECOM Tishman, Lee Kennedy, Cranshaw Construction, Gilbane Building, Columbia Construction, Campanelli, Commodore Builders and W.T. Rich. 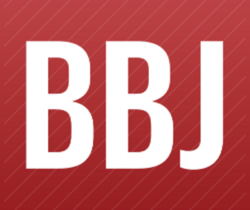 For the complete list, check out the Boston Business Journal. IBG is proud to be one of the project partners on ‘The Hub on Causeway’. The 1.87 million square foot mixed-use development features three towers with retail, office, hotel and residential space. When completed, The Hub will have transformed North Station and TD Garden. Click here for updates throughout the project’s three phases of development. IBG helped complete this cool, street-level atrium situated in Boston’s Financial District earlier this year. Check out the details and some renderings of the inside view of this stylish new building addition here. The sleek and modern design of 20 CityPoint in Waltham, MA is entering phase 2 of development and IBG is on the job. Read more about this Class A office development. IBG’s custom entry doors and high span curtainwall will bring new life to this 1947 building in Downtown Boston. Learn more about 50 Post Office Square here. 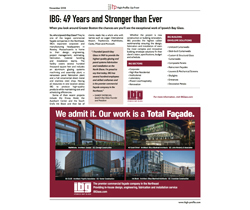 The Boston Business Journal recently published their Largest Building Permits list for 2017 and three of IBG’s projects were among the top ten: Echelon Seaport, a 1.3 million square foot multi-use building; The HUB on Causeway which consists of three 38 story towers; and the Pier 4 project in Boston Harbor. 76 new luxury apartments complete with Sky Lounge and roof deck is the 5th building IBG has worked on at the new Ink Block campus. Learn more. 563,000 square feet in the form of two 14 story mixed-use buildings are going into Boston’s South End. IBG is “wrapping” it all together. Read updates on the project here.